I read Mahmud Jega’s Daily Trust column a fortnight ago, with the title “Gra-gra versus softly-softly”. It was composed in his characteristic meticulousness which also touched a nerve that concerns all. It also involved me, personally. It involved me because the piece was not only about anti-corruption struggle, something I came to be more identified with in the course of my career, but also because I was mentioned, or referenced to, many times in the piece. In the piece, Jega repeated several erroneous notions about my work at the Economic and Financial Crimes Commission (EFCC). But to be fair to him, those insinuations were far from being his concoctions. They have been held for a long time by a section of Nigerians who were largely misinformed about the modus operandi of the EFCC I headed, or about me as a person. I therefore thought it a duty to correct some of the wrong impressions people have about what we did, for the sake of futurity and the reading public. But as I always insist, success of anti-graft efforts is hinged largely at the leadership level, especially the political leadership. We were lucky to have the cooperation of the leadership at the time. To the credit of President Olusegun Obasanjo, he let us do the work even at a time we were going against some elements that were extremely close to him. It is therefore amusing when I hear people these days charge me of “selective justice”. Well, perhaps those charges could be passed as the example of what Wole Soyinka called ” our collective amnesia”. Take a comprehensive list of high profile people EFCC brought to justice, majority of them were people that could be correctly tagged “Obasanjo boys”. Even though some of them suddenly turn around the moment they found themselves in trouble with the law, as a way of buying public sympathy. Unfortunately, many people don’t strive to stretch the facts to reveal this truth. One largely neglected pillar of our work was the Judiciary and the criminal justice system generally. We had the support of other people in the justice administration chain. Without the will of incorruptible judges and other law enforcement officials, all our modest effort would have come to nought. However, the main thesis of Jega’s essay, which was also made clear from the title, was that the EFCC I headed was something of a gra-gra agency – a body that is peopled with exuberant officers eager to arrest suspects in order to hit the headlines. This is a flawed assessment of it. It is also something that people come to believe, largely on account of the agency’s portrayal in the media. EFCC was, and is, never about arrests. In fact, arrest was just a fraction of the entire work. But because arrest is what makes the news, the myriad of steps and processes we follow before and after arrest are mostly overlooked. Every step in administration of a corruption case is carefully outlined and has its rigours and identified procedures. A lot of work would have to be put in from the point of accepting a petition or starting a case, analysing it, identifying the key issues and persons, investigation, sourcing documents, obtaining arrest and search warrants, preparing charges and then arrest. We tried to work on each of the steps in a very meticulous manner. It is a little surprise therefore, that throughout my period there was only one person who took me to court challenging his detention by the EFCC. He also lost the suit. The reason was simple: we followed the law and therefore had to do our homework before we pick anybody. Similarly, to point to the meticulous nature of what we did, it is in record that the EFCC recorded a world record of over 90 percent convictions on all the cases we prosecuted. I don’t think gra-gra would yield these results. It is also incorrect to say that EFCC didn’t pursue preventive measures as regards corruption. We fully appreciated the fact that the twin strategy of prevention and sanctioning must always go together in law enforcement in general and fighting corruption in particular. The preventive measures of the EFCC were often overshadowed by the news selling headlines about arrests but EFCC took a lot of preventive measures. Major ones include the establishment of the Training and Research Institute that has been carrying out studies on corruption prevention in both public and private sectors. The institute is in the lead in training of detectives, public servants, bankers and so many others in Nigeria today. The establishment of Financial Intelligence Unit is one of the most important steps in preventive measures of controlling corruption globally, EFCC has done it for Nigeria. EFCC also worked to establish international networks and linkages, notably with the United Nations, FBI, Metropolitan Police, German BKA, and West African anti-money-laundering group, GIABA, among others. The article also mentioned the impeachment of three governors allegedly influenced by the EFCC. I try as much as possible not to be personal by commenting on such cases but the fact that it is suddenly gaining currency, makes it only sensible to clear the misconceptions. The EFCC did not and could not have impeached any governor or force legislators to do so. It will be unfair to deny the legislators the credit of doing their constitutional responsibilities. The EFCC did its part of the responsibility of investigation and submission of findings to the various State Assemblies all over the nation. Some state assemblies had cause to act on such reports, others did not. But we certainly did not force anyone to take any action. My understanding of events then was that two out of the three former governors got arrested in London with millions of Pounds. They absconded from justice there and that triggered chain of events that culminated in their lost of political control of their states and thereby resulted in their impeachments. The former governor of Ekiti state had his own local issues. He lost out with the elite of the state, his political party, and other stakeholders. His ordeals had nothing to do with the EFCC. In all the cases, it was obvious that the governors lost out with their political parties and therefore the assembly members were more than willing to act on the thorough investigation reports of the EFCC. The reports were the extent of EFCC’s involvement in those impeachments. As a proviso, I want to state that all the actions we took while at the EFCC were taken with the purest of intentions and based on available facts before us at the time. But it is understandable that in everything we do as humans, we are bound to be misunderstood. However, fear of being misunderstood should not be an excuse for not moving to salvage our country. As citizens, we all have the civic responsibility of playing our part in healing the country of its myriad of maladies and guiding it to the coast of prosperity. Alhaji Ahmed Ali Gulak, aide to President Goodluck Jonathan on Political Affairs yesterday in Abuja has said the president is not probing ex-President Olusegun Obasanjo. Gulak said rather, it is Jonathan’s administration that is being probed by the National Assembly through many investigative hearings and other probes into the affairs of governmental agencies and government officials. 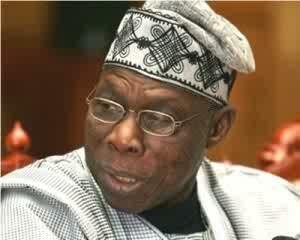 “I believe former President Obasanjo expressed his opinion or his fear. But I tell you President Jonathan has not said the administration will probe Mrs Ezekwesili,” Gulak said. Former President Obasanjo had on Sunday at the 50th birthday thanksgiving service in honour of former Minister of Education, Oby Ezekwesili in Abuja challenged President Jonathan to probe him on his eight-year tenure instead of persecuting his cabinet ministers. The aide also denied insinuations that the president is witch-hunting Governor Chibuike Amaechi by grounding his private jet. “The fact that you are governor and plying private jet does not mean you should do things that are not within the confines of the law and the fact that you are a governor does not mean you should flout the law. 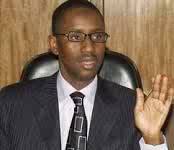 President Jonathan is ready to work with anybody who emerges as chairman of the forum,” Gulak said. Former president Olusegun Obasanjo has said he is ready for a probe of his eight-year administration instead of the present administration descending on his cabinet ministers. Mr Obasanjo, who made the criticism at the 50th birthday thanksgiving of former minister of Education, Oby Ezekwesili in Abuja, said he is ready to account for his stewardship. He said if the present government finds anything wrong with his administration, he would bear the responsibility. The former President was reacting to the recent moves to probe Mrs Ezekwesili by the Independent Corrupt Practices and Other Related Offences Commission (ICPC) and challenge thrown to the former World Bank VP by the presidency to account for her tenure as Minister of Education. He said, “I have always said this, whatever you want to blame in my government, blame me, don’t blame any of those people who assisted me. If there is any credit to dispense we share it. Governor of Central Bank of Nigeria, CBN, yesterday, said the country never had up to $67 billion as external reserves, adding that the highest level of reserves attained by the country was $62 billion. He said this at the Metropolitan Club Luncheon in Lagos, in reaction to the recent debate over the nation’s external reserve between the Federal Government and former Minister of Education, Dr. Oby Ezekwesili. The former Minister had said that the Federal Government, under former President, Yar’Adua and President Goodluck Jonathan had wasted external reserves of $67 billion saved under the Obasanjo’s administration. 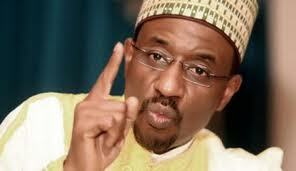 Commenting on debate, Sanusi said: “First, let us talk about the numbers. Nigeria never had $67 billion of reserves in its history. The highest level of reserves was $62 billion under late President Yar’Adua. “There is also a certain truth to a basic proposition that if we saved money when oil price was high, it is expected that when oil price crashes, we would de-save. “Look at Germany, US, UK, after the crisis. They all had huge deficits. So our incurring of deficit was a reduction in reserves. “Now having said that, no one can deny that between 2010 and 2011, when oil price was going up, we should have saved more than we actually did and we spent more than we ought to. As CBN Governor, I spent the whole of those two years talking about fiscal leakages. 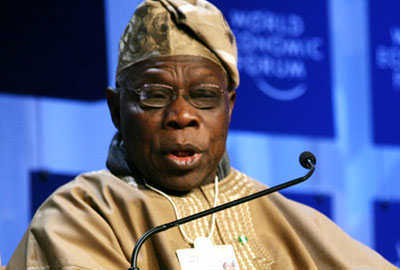 Former President Olusegun Obasanjo, Saturday, said Nigeria lacks good leadership to administer her enormous potentials. The occasion featured universities and secondary school students from Nigeria and other African countries who participated in a debate as part of the activities marking Obasanjo’s 76th birthday. The former president opined that there were not many good leaders in the country, stressing that leadership in any country was very important to development and growth. “On the topic you have chosen for this debate, ‘Human Security in Africa’, whether it is a myth or reality, threat to human security, high economic growth, whether it is flash in the pan or sustainable, it all comes to one major thing and that one major thing is leadership. Very soon, I do hope that we’ll bring leadership in all dimensions and in all ramifications. “I realise that we have many Nigerians and there are not many good leaders in Nigeria. Whatever is the reason, it is something we have to tackle because we cannot continue the way it is. “That brings me to the hope and the bright future that I see in what Profs. Akin Mabogunje and Peter Okebukola are putting together (the debate). “It’s to try and prepare African youths, boys and girls, together that future belongs to you youths. “Nobody will help Africa, nobody can help Africa and that is the truth. If we expect others from outside to come and help us, it is a second class help. “What do I see for the future? We have caliber of women, men, young and old that Africa needs to put itself up and to make its voice heard in the world today and tomorrow. “Alfred Mills explains in his book, ‘Why Africa is poor’ but it’s a choice, a choice that our leaders have made. Obasanjo said he was shocked when Alhaji Aliko Dangote told him that six Ph.D holders and 600 master degree holders were among applicants for truck drivers in his (Dangote) company. He stated that the issue boils down to the problems of job creation, wealth creation, among others. The ruling Peoples Democratic Party (PDP) is expected to announce the selection of Chief Tony Anenih as its Board of Trustees (BoT) chairman this week. It would be the second coming of Anenih, who is currently the chairman of the Board of Directors of the Nigeria Ports Authority (NPA). Top party sources said last night that his imminent emergence as the new BoT chairman has received the blessings of most of the top members of the board who were hitherto opposed to his choice. Before now, Anenih, who is not in good terms with former President Olusegun Obasanjo, had been locked in the contest with former national chairman of the party Ahmadu Ali, former president of the Senate Ken Nnamani, and Dr. Emmanuel Iwuanyanwu, among other aspirants. Anenih’s emergence as the new PDP BoT chairman, barring any last-minute change, will be coming at a time the party is faced with major challenges, mostly from within. Some of the key challenges the expected Anenih leadership would have to contend with include that of the seeming feud between the presidency and the Nigeria Governors’ Forum. Also, the new leadership would have to address the various contending forces within the party. Only last week, some perceived loyalists of former president Olusegun Obasanjo were sacked from the National Working Committee of the party. 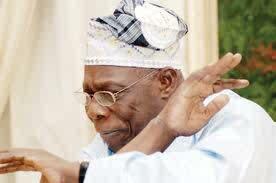 The South-West congresses believed to be in favour of the Obasanjo camp were also cancelled. Another major challenge that is facing the PDP, which the new BoT chairman has to contain, is the seeming threat posed by the newly formed All Progressive Congress, APC. The choice of Anenih as the new BoT chairman is informed by the fact that the kingmakers had, after an extensive consultation among top party members on the long list of aspirants, settled on Anenih as he was seen as the most experienced of them all. A top member of the party also said that the choice of Anenih was based on the belief that, with his vast knowledge of the inner workings of the party, he would be in a better position to reconcile all contending power blocs within the party and also effectively check the threat posed by the new APC. The PDP BoT meeting that held on January 8 ended in a stalemate and in the formation of a committee headed by Professor Jerry Gana. It was mandated to streamline the membership of the party’s BoT and to report back to the members in the next meeting.